Evolve Maintenance Formula with Chicken provides all the nutrition needed to promote health and vitality of adult cats. This food has no wheat, corn, or soy and produces a mouthwatering aroma that your cat will find irresistible. Because we care about the quality of our cat food, we chose to make real chicken the number 1 ingredient. This formulation contains chicken, brown rice, dried egg, dried kelp, dried cheese, cranberries, and blueberries, which contribute to the fantastic nutrition of this food. 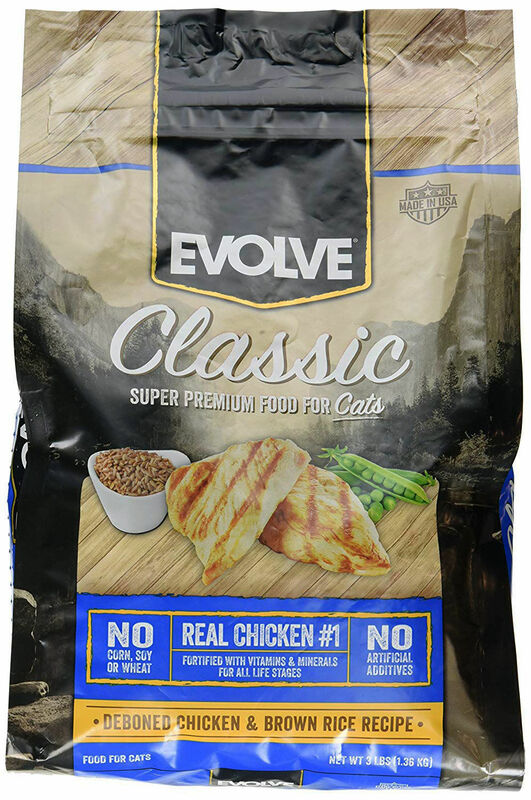 By choosing Evolve Chicken & Rice Formula Cat Food, you are choosing a bright, healthy future for your cat.